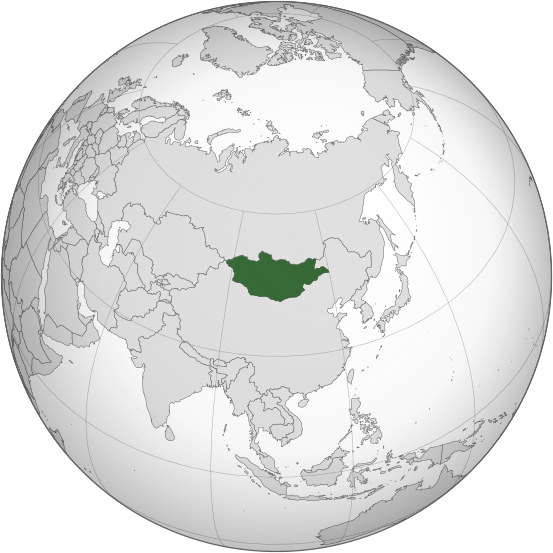 Mongolia is a landlocked country in east-central Asia. It is bordered by Russia to the north and China to the south, east and west. While they do not share a border, Mongolia is separated from Kazakhstan by only 36.76 kilometres (22.84 mi). Ulaanbaatar, the capital and also the largest city, is home to about 45% of the population. Mongolia's political system is a parliamentary republic. The area of what is now Mongolia has been ruled by various nomadic empires, including the Xiongnu, the Xianbei, the Rouran, the Turkic Khaganate, and others. In 1206, Genghis Khan founded the Mongol Empire, and his grandson Kublai Khan conquered China to establish the Yuan dynasty. After the collapse of the Yuan, the Mongols retreated to Mongolia and resumed their earlier pattern of factional conflict except during the era of Dayan Khan and Tumen Zasagt Khan. In the 16th century, Tibetan Buddhism began to spread in Mongolia and it was accelerated by the unwavering support of the Qing government after Mongolia was absorbed by the Qing dynasty founded by the Manchus. In the 1900s almost half of the adult male population were Buddhist monks. By the mid-18th century, all of Mongolia had been incorporated into the area ruled by the Qing dynasty. During the collapse of the Qing dynasty Mongols established the Temporary Government of Khalkha on November 30, 1911, before the abdication of the last Qing emperor and the establishment of the Republic of China. At 1,564,116 square kilometres (603,909 sq mi), Mongolia is the 19th largest and one of the most sparsely populated independent countries in the world, with a population of around 3 million people. It is also the world's second-largest landlocked country. The country contains very little arable land, as much of its area is covered by grassy steppe, with mountains to the north and west and the Gobi Desert to the south. Approximately 30% of the population are nomadic or semi-nomadic. The majority of its population are Buddhists and the non-religious population is the second largest group. Islam is the dominant religion among ethnic Kazakhs. The majority of the state's citizens are of Mongol ethnicity, although Kazakhs, Tuvans, and other minorities also live in the country, especially in the west. Mongolia joined the World Trade Organization in 1997 and seeks to expand its participation in regional economic and trade regimes.